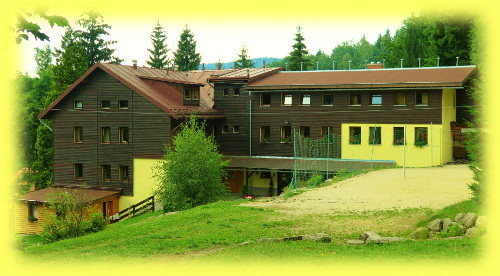 Pension Artur is situated in Jizera mountains, this part is called Malý Semerink. It is not far from wintersport center Hrabětice, Severák or Bedřichov. Our pension is supr place for sport or quiet and peace holiday. In winter there is possible to use ski slope or skirunnung. Jizera mountains have very nice and beautiful nature. So this is the reason why they are so popular. You can go on trip or take your/our bicycle. In spring is possible to swimm there in Pension or overthere in Nature. We have also a lot of contacts so you can play tennis or bowling. Pension Artur is only 8 km far from Liberec. This town offer a lot of culture and sport activities. For example: Babylon (aquapark), ZOO, Botanic gardens and very favourite trip is by cable railway on famous out-look tower called Ještěd. We also advise trip to Janov there you can find popular summer bobsled (the longest in Czech rep.) and there we can book a special visitation in to the Glas factory.